Often outrageous and always compelling, Peter Taylor and Brian Clough’s partnership shook the very foundations of the footballing world. They took two peripheral clubs – Derby County and Nottingham Forest – from the sleepy backwaters of East Midlands football to international renown. The first to pay £1 million for a player and the first to win two European Cups and two League Cups in successive seasons, their journey was a whirlwind of trophies, record-breaking transfers, bust-ups and sackings. In a first-hand account told with immense candour, Taylor reveals the highs and lows of their relationship, and details the events that led to their unprecedented success. 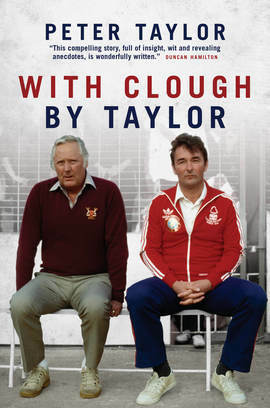 Originally published in 1980 and available now for the first time in forty years, With Clough, By Taylor is the definitive account of the partnership that revolutionised English football and the trade of the football manager.